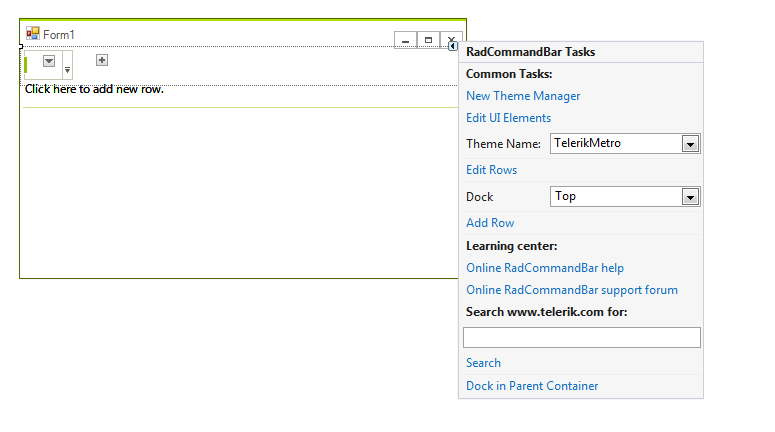 To start using RadCommandBar just drag it from the toolbox and drop it at the form. Select RadCommandBar and click the small arrow on the top right position in order to open the Smart Tag. 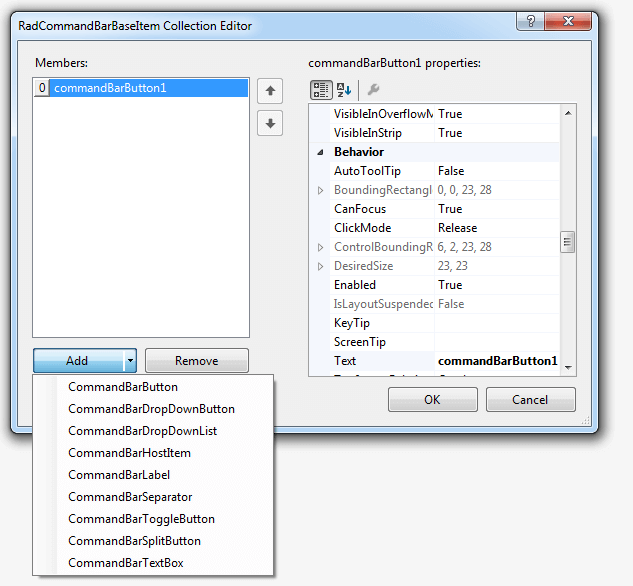 Edit Rows: opens the CommandBarRowElement Collection Editor. 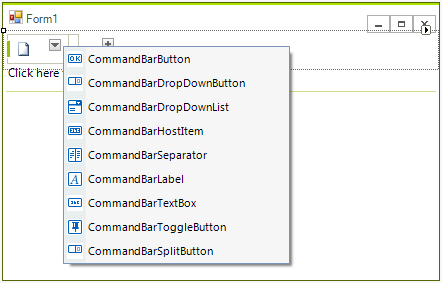 AddRow: adds a new row to the command bar. 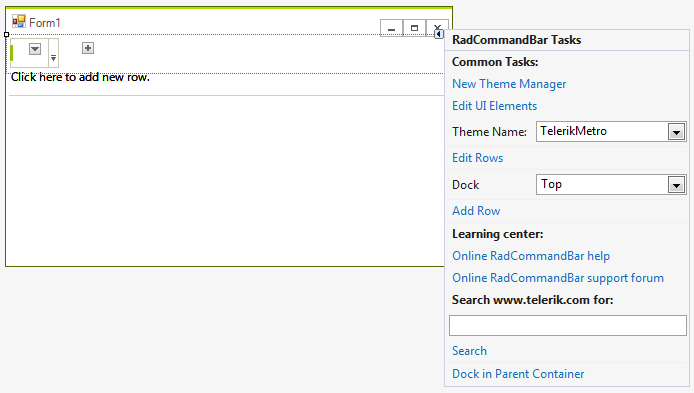 To add a RadCommandBar to a form, drag it from the toolbox and drop it on the form. By default, the control is oriented horizontally and docked to the top of the form. You can change the orientation, dock style and size from the property grid. 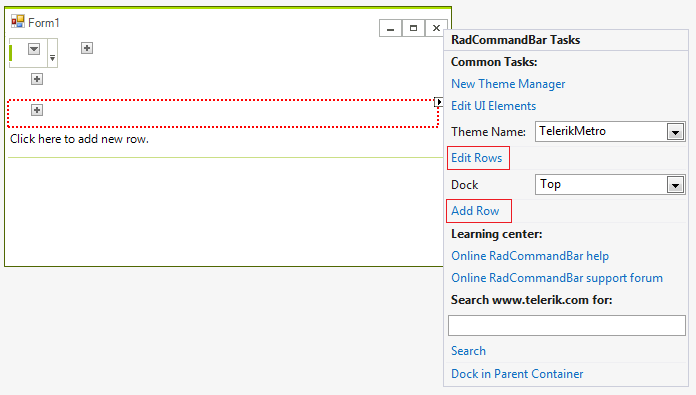 To add a row element to a RadCommandBarElement, click in the blank area of the RadCommandBar control, above the shaded band. You can repeat the process to create multiple rows. Open its Smart Tag menu. Select Add Row to immediately add a row or Edit Rows to open Collection Editor. 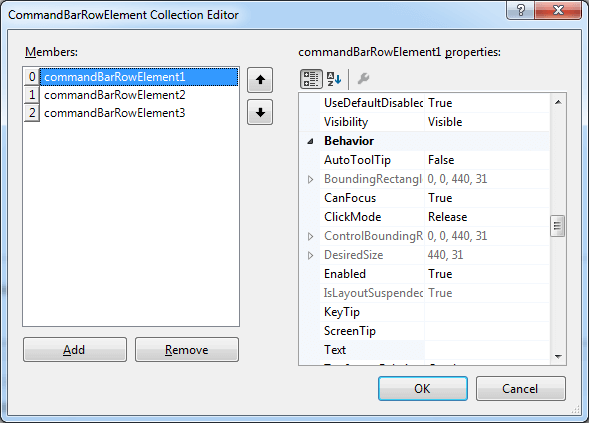 Click the Add button in the RadElement Collection Editor to add a new row element. 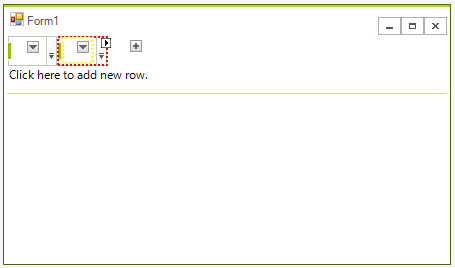 To add a strip element to a row element, click on the button marked with +. Select Add New Strip to immediately add a strip element or Edit Strips to open Collection Editor. 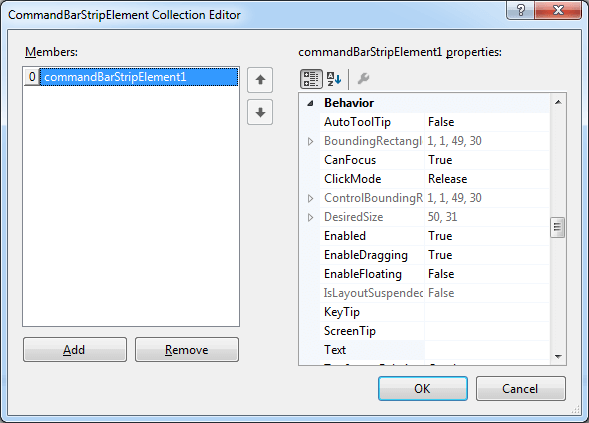 Click the Add button in the RadElement Collection Editor to add a new strip element. To add an item to a strip element, click on the down arrow button, placed in the strip and choose the item type to add. Select Edit Items to open Collection Editor. Click the Add button in the RadElement Collection Editor to add one of the possible items.